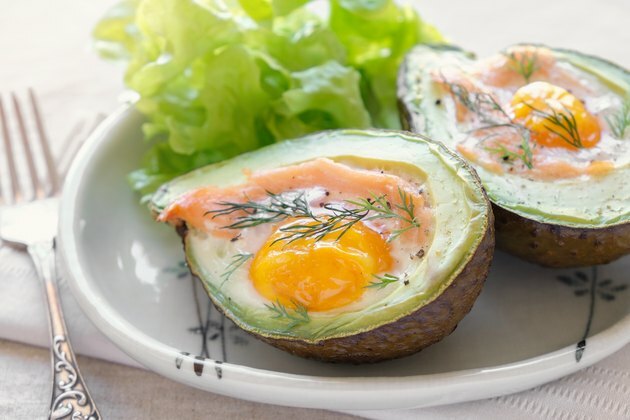 The keto craze is in full force: More and more people are Googling, hashtagging and following a ketogenic diet these days. (For the uninitiated, a typical keto diet derives about 75 percent of daily caloris from fat, 20 percent from protein and 5 percent from carbohydrates.) But unlike other trendy diets, many experts say this one is actually worth trying. 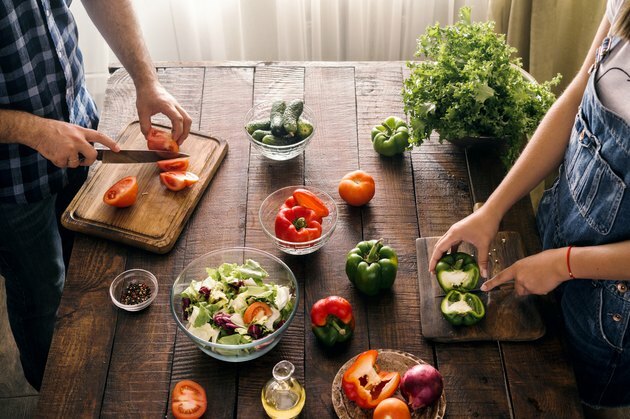 "The diet focuses on adding fat and protein and subtracting carbs, not cutting calories, so you don't slow down your metabolism when you go back to a standard diet," says Taylor Wallace, Ph.D., professor of nutrition and food studies at George Mason University. The bad news? Like any eating plan — expert-approved or not — the keto diet isn't for everyone. Keep reading for some signs you should sit this one out. In order to stay in ketosis, you need to limit grains and vegetables, which — though higher in carbs — are loaded with important prenatal vitamins (like folate) that are crucial to your baby's development. "I would highly caution pregnant women against any fad diet, including the keto diet," Wallace says. 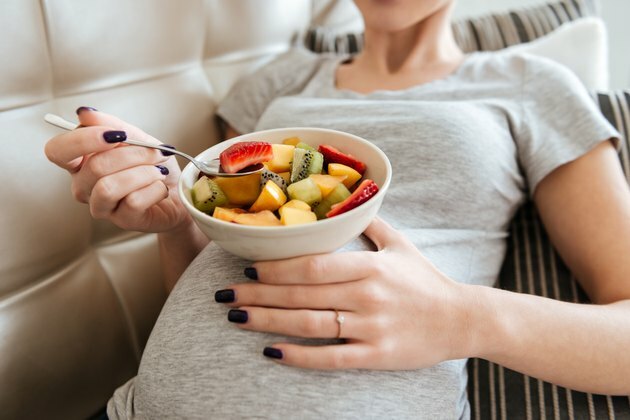 "It's always a good idea to limit refined carbohydrates, but pregnant women shouldn't be restricting fruits and vegetables to lose weight." In case you need more convincing, a 2013 study from the journal BMC Pregnancy Childbirth found that pregnant mice on a keto diet birthed offspring with larger hearts and smaller brains than mice whose mothers followed a standard diet. "Mice are, of course, different from humans, but I wouldn't chance it," Wallace says. The keto diet requires you to limit fruits, vegetables and grains — all staples of a vegan diet. While it's not impossible to follow a keto diet as a vegetarian, it's tough to do it right if you put eggs and dairy on your "no" list. "Vegans will have a hard time getting enough iron, vitamin B-12, choline and protein on a keto diet," professor Taylor Wallace says. "Honestly, I'm not sure how you would do it without eating some sort of vegan keto bar all day." If you're committed to your vegan diet, you can still benefit from cutting down on refined carbs and sugar. "Stick to fruits, vegetables and whole foods to lose weight in a healthy way," Wallace says. Professor Taylor Wallace says he's seen people order fast-food burgers, toss the bun and then call it keto. "That's not how you want to do this diet," he says. "If you adopt a ketogenic diet, you need to be extra aware of your saturated fat intake, which can cause heart problems over time." So just because the diet is almost all protein and fat doesn't mean you should be eating bunless cheeseburgers all day. "You should limit your saturated fat intake to less than 10 percent of your diet, which is no more than 200 calories per day on a 2,000-calorie diet," he says. We suggest loading up on these 18 fat-rich foods that are good for you. Even though a keto diet doesn't restrict calories, it forces you to think about food — a lot. "You need to read labels, plan ahead and limit yourself in social situations," says Jennifer Sommer-Dirks, RD, nutrition manager at the Eating Recovery Center in Denver. And that can be detrimental to eating disorder recovery. Sommer-Dirks encourages anyone with a history of disordered eating to speak to a registered dietician before starting a keto diet. (The Eating Recovery Center can help you find one.) "The RD may be able to help you achieve your goal without following a restrictive diet that could harm your recovery," she says. "An RD can also assess if you're stable enough in recovery to consider such a decision and monitor your nutrition needs to help make sure you don't fall back into the eating disorder." One in 10 people will have a kidney stone at some point, according to the National Kidney Foundation, and a keto diet could increase your risk. "People consume more protein on a keto diet, which has been thought to increase uric acid levels (a component of some kidney stones) and decrease citrate levels (a substance that prevents kidney stones)," professor Taylor Wallace says. The good news is that you shouldn't have an issue if you're only in ketosis for short periods of time. Wallace suggests staying in ketosis for two months, and then taking a couple months off. In a small 2018 study published in the The Journal of Sports Medicine and Physical Fitness, people on a ketogenic diet performed worse on high-intensity exercise tests than those on a high-carb diet. 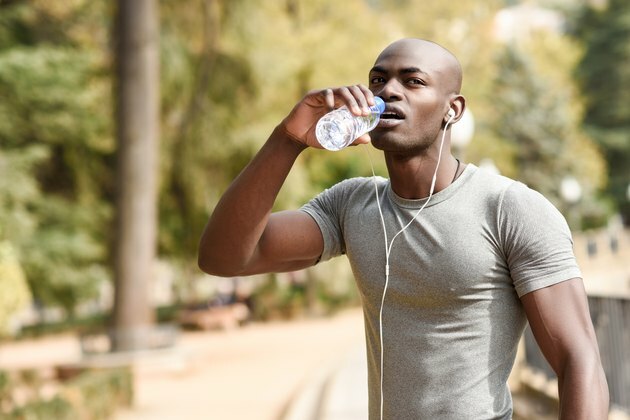 "Glucose (carbs) is the fuel of choice when you need energy for intense exercise," says Edward Weiss, Ph.D., nutrition professor at Saint Louis University and author of the study. "Ketones are really more of a backup fuel that becomes available during starvation (or severe carbohydrate deprivation). They've always been the body's 'plan B' fuel system." While more research needs to be done, Weiss says it's best to skip this diet if high-intensity exercise or team sports are important to you. As with any change to your diet, be sure to discuss with your general practitioner first if you're considering switching to keto.